We have the experience and the expertise to provide. The Civil Servants Adjustment Ordinance 2075 was registered in Legislature Parliament on Wednesday, the first day of the winter session of the House.The ordinance was registered despite the civil servants warning that they would not fill up the integration form before amendments were made to the document.The ordinance was promulgated at a time when there was no Parliament to integrate the federal, province and local levels. Officials say there is a slim chance of the ordinance being amended, as demanded by the agitating civil servants. Minister for Tourism and Civil Aviation Rabindra Adhikari and Auditor General Tanka Mani Sharma have made different claims regarding the purchase of two wide-body aircraft by Nepal Airlines Corporation.During a meeting of the Public Accounts Committee (PAC) of the Parliament on Tuesday, Minister Adhikari had claimed that the payment for the purchase of the two Airbus A330 jets was made after consulting with the officials at the Office of the Auditor General (OAG). Former Pakistani Prime Minister Nawaz Sharif has been sent back to jail after a fresh corruption conviction.The court in Islamabad gave Sharif a seven-year term for having investments beyond his declared assets.Sharif, who denies wrongdoing, was jailed in July in a different corruption case but bailed on appeal when the Islamabad High Court suspended his sentence in September. United States officials have said Nepal is a part of their ambitious Indo-Pacific strategy, a new strategic initiative undertaken by the Trump administration that focuses on developing opportunities across a range of issues across the broader pan-Asian region.The announcement was timed with the visit of Foreign Minister Pradeep Gyawali to Washington, where he met with US Secretary of State Michael R Pompeo. In a statement released by the State Department on Tuesday, Robert Palladino, the deputy spokesperson, said Nepal's "central role" in a free, open and prosperous Indo-Pacific among others was discussed during the meeting between the two leaders. Nepal and China have agreed on the technical details of the Kathmandu-Kerung railway line, and will soon begin the process of preparing a detailed report for what has been touted as one of the most challenging projects, even for the northern neighbour that has mastered advanced railway engineering.Government officials who returned to Kathmandu after a week-long visit to the Chinese north-central city of Xi'an told the Post that the two sides have reached a mutual agreement over the technical study conducted by China Railway First Survey and Design Institute. The Constitutional Council on Thursday recommended Acting Chief Justice Om Prakash Mishra as new chief justice. The CC meeting held at the Prime Minister's Office in Singha Durbar unanimously recommended Mishra to lead the judiciary.The meeting was attended by opposition leader Sher Bahadur Deuba, Speaker Krishna Bahadur Mahara, National Assembly Chairman Ganesh Timalsina, Deputy Speaker Shiva Maya Tumbahangphe and Law Minister Dhakal. The government has come up with a draft law to govern sustenance allowance for unemployed people, based on the constitutional guarantee of employment for every citizen.The draft Right to Employment Bill, registered at the Parliament Secretariat on Tuesday, requires the government to ensure every Nepali at least 100 days of work annually. Upon failure to provide work, the state has to provide sustenance allowance equal to a half of the salary fixed for a period of 100 days. As the government braces up to ensure safe drinking water to all its citizens drafting a new integrated law, around 13 percent of the country's population remains without access to basic drinking water.The coverage of drinking water supply has expanded to 87 percent of the total population recently. Basic drinking water is defined as the water directly supplied to consumers from sources that could be risky at times. Pakistani lawmakers elected former cricket legend Imran Khan prime minister on Friday and he pledged to bring to justice "all those who have robbed this country" through corruption, Reuters reported.Parliament's move cleared the way for the 65-year-old Khan to set up a coalition government and his first major task will be to avert a brewing economic crisis after his party swept to election victory on July 25. Experts on foreign affairs and trade have said the BIMSTEC (Bay of Bengal Initiative for Multi-Sectoral Technical and Economic Cooperation) could be utilised as an opportunity for regional development and expansion of trade.The forthcoming fourth BIMSTEC Summit being held in Nepal could be taken as the platform for wider international image of Nepal, they said during a programme in the Capital on Thursday.According to them, implementation of the past agreements on multi-sectoral development is another pressing issue. The government is yet to schedule parliamentary hearing for nominees to head Nepal's missions in India and Malaysia.The government on July 16 recommended former chief election commissioner Neel Kantha Uprety for ambassador to India and former ambassador Uday Raj Pandey for the responsibility in Malaysia.Minister for Foreign Affairs Pradeep Gyawali announced the decision at a news conference the same day. However, two weeks after the announcement, the Foreign Ministry is yet to communicate the decision to Parliament. The government has moved to clamp down on massive insurance fraud hatched by powerful brokers in trekking and mountaineering agencies in Nepal which involves bogus helicopter rescues and hospital treatment of tourists.A government fact-finding committee submitted a 700-page probe report to Tourism Minister Rabindra Adhikari on Monday recommending that-from the next tourist season in September-November-all rescue activities be entrusted to the Nepal Police to stop the insurance scam that has damaged the country's reputation. "We are concerned by the bogus helicopter rescues and false medical insurance claims. In order to stop such offences, we have decided to entrust all tourist rescue-related tasks to the Nepal Police," said Tourism Secretary Krishna Prasad Devkota. "We will prepare a working guideline related to the rescue operation and implement it from the autumn season," he said, adding that the working procedure may need the Cabinet's approval. India has published a list which effectively strips some four million people in the north-eastern state of Assam of their citizenship.The National Register of Citizens (NRC) is a list of people who can prove they came to the state by 24 March 1971, a day before Bangladesh declared independence.India says the process is to root out hordes of illegal Bangladeshi migrants.But it has sparked fears of a witch hunt against Assam's ethnic minorities.Hundreds of thousands of people fled to neighbouring India after Bangladesh declared itself an independent country from Pakistan on 25 March 1971, sparking a bitter war. Many of the refugees settled in Assam, a state which now has more than 30 million people. Pakistani cricket legend Imran Khan declared victory on Thursday in a divisive general election, and said he was ready to lead the nuclear-armed nation despite a long delay in ballot counting and allegations of vote-rigging from his main opponents.His success in Wednesday's election is a stunning rise for an anti-corruption crusader who has spent much of his political career on the fringes of Pakistan politics, but now stands on the brink of becoming the country's prime minister. "God has given me a chance to come to power to implement that ideology which I started 22 years ago," Khan, 65, said in a televised speech from his house near the capital Islamabad. Death toll in London tower block fire has climbed to 30 after 13 more succumbed to injuries during the course of treatment on Friday, according to Reuters.Police are considering whether criminal offences had been committed, a senior police officer said today.Commander Stuart Cundy said that the death toll may increase as 24 people are still in hospital and 12 are receiving critical care. A top US Republican Steve Scalise and aides have been shot during baseball practice in Virginia on Wednesday, BBC reported.Officers who were part of Scalise’s security detail also returned fire and wounded the shooter, who was taken into custody.It has been learnt that Scalise, the House majority whip, was in stable condition at George Washington University Hospital.Following the incident, President Donald Trump said he was “deeply saddened by this tragedy” and was monitoring developments. Women with breast cancer who sleep at least nine hours a night may be more likely to die from their tumors than patients who get just eight hours of rest, a recent study suggests.Compared to women sleeping eight hours a night, women who slept at least nine hours were 46 percent more likely to die of breast cancer, the study found. After up to 30 years of follow-up, the women who got more sleep were also 34 percent more likely to die of other causes.“Sleep duration, but also changes in sleep duration before versus after diagnosis, as well as regular difficulties to fall or to stay asleep, may also be associated with mortality among women with breast cancer,” said lead study author Claudia Trudel-Fitzgerald of the Harvard T. H. Chan School of Public Health in Boston. Workers exposed to chemicals like deodorizers, sanitizers, disinfectants and sterilizers on the job may be more likely than other people to develop thyroid cancer, a recent study suggests.Occupational exposure to these chemicals, known as biocides, was associated with a 65 percent higher risk of thyroid cancer, the study found. For people whose jobs might have led to the most cumulative exposure to biocides over time, the odds of thyroid cancer was more than doubled.“Limited studies have investigated occupational exposure to pesticides in relation to thyroid cancer and have reached inconsistent results,” said lead study author Dr. Yawei Zhang, an environmental health researcher at Yale University in New Haven, Connecticut. After blowing hot and cold for months, the government has decided to become part of China’s Belt and Road Initiative, a flagship project of Chinese President Xi Jinping to build a modern-day Silk Road across Asia, and is set to sign a framework agreement this week in Kathmandu.Beijing is investing billions of dollars in infrastructure projects including railways, ports and power grids across Asia, Africa and Europe through its One Belt One Road (OBOR) initiative.A Cabinet meeting on Monday decided to sign the framework agreement on OBOR this week just ahead of the OBOR Conference in Beijing on May 14-15. The 50th annual meeting of the Asian Development Bank (ADB) concluded in the Japanese city of Yokohama on Sunday expressing commitment to support poor countries in the region, bridge income inequality, lift social development and help nations mobilise resources to fund infrastructure projects.During the four-day meeting, over 5,000 participants from Asia and across the world, including finance ministers, central bank governors, senior government officials, business executives, academics and representatives from the civil society, praised Asia’s rapid economic growth over the last half a century while highlighting problems related to poverty, income inequality, aging, and climate change in the region. China says its Silk Road initiative is helping create "a new era of globalization" open to all, according to a draft communique for a summit next month on the project, as Beijing burnishes its free trade credentials amid protectionist forces elsewhere. Leaders from 28 countries will attend the Belt and Road Forum in Beijing on May 14-15, an event orchestrated to promote Chinese President Xi Jinping's vision of expanding links between Asia, Africa and Europe underpinned by billions of dollars in infrastructure investment. Although only one Group of Seven leader is due to attend, the forum will be China's biggest diplomatic event of 2017. After yet another failed attempt to convince the Madhes-based parties to participate in elections scheduled for May 14, Prime Minister Pushpa Kamal Dahal on Tuesday asserted that his government is committed to holding the polls and called on dissenting forces to seek solution through ballot boxes.In his address, most likely prompted by the Madhes-based parties' refusal to buy the government's proposal to put the constitution amendment issue on hold till elections, PM Dahal spent a considerable amount of time explaining the efforts he had made to amend the constitution and the fierce opposition he faced in doing so. Nepal's longstanding desire to deepen trade relations with China, the world's second largest economy, will continue to remain a pipedream unless the country focuses on development of alternative land trading routes.This was the main highlight of an interaction organised on the sidelines of the 14th annual general meeting of the Nepal-China Chamber of Commerce and Industry on Tuesday. Flights to and from the Lukla Bazzar-based Tenzing Hillary Airport in Solukhumbu district have remained halted for the past four days due to adverse weather.Lukla Bazaar situated at an altitude of 2,800 meters is the gateway to the Mount Everest base camp.The Airport said it has not made any flights for the past few days owing to low visibility caused by thick fog.The halting of air service when the tourist season has already begun has affected tourists and local business community as well. Indian Ambassador to Nepal Ranjit Rae completed his three-and-a-half-year tenure in Kathmandu on Tuesday and is leaving for New Delhi on Wednesday.But the Indian government has failed to send Rae's successor probably for the first time in Nepal. The Indian government does not have the practice of keeping its Kathmandu mission vacant for long.Sources said appointment of a new Indian envoy will take another couple of weeks. Until the new Indian envoy arrives, Deputy Chief of Mission Vinaya Kumar will head the embassy. The Asian Development Bank (ADB) has called on countries across Asia to promote public private partnership (PPP) and deepen capital markets to reduce infrastructure gaps and avoid possible binding constraint on economic growth. The Nepal government approved PPP Policy in October 2015 to engage the private sector in development of various physical infrastructure projects, such as roads, bridges, airports, hydroelectric and irrigation plants, and transmission lines.Last June, the government even prepared the first draft of the PPP Act, which, once enforced, will replace the Act on 'Private Financing in Build and Operation of Infrastruc-ture'-commonly referred to as the BOOT (Build, Own, Op- erate and Transfer) Act. But it has not been finalised yet. Russian Deputy Foreign Minister Gennady Gatilov said on Tuesday a U.N. Security Council resolution put forward by Western powers to punish Syria's government over its alleged use of chemical weapons would harm peace talks in Geneva.The resolution, vetoed by Russia and China, amid U.N.-led peace talks between the warring Syrian parties, had aimed to ban the supply of helicopters to the Syrian government and to blacklist Syrian military commanders. Oil prices slipped on Tuesday but kept trading in a tight range, as concerns about rising U.S. crude inventories ahead of data overshadowed OPEC production cuts.U.S. crude stockpiles have risen for seven straight weeks. Forecasts for another weekly build, this time of 3.1 million barrels last week, fueled worries that demand growth may not be sufficient to soak up the global crude oil glut.U.S. West Texas Intermediate crude futures settled down 4 cents, or 0.1 percent, at $54.01 a barrel and Brent crude fell 34 cents, or 0.6 percent, to $55.59 a barrel. More than 100 foreign delegates from all over the world have confirmed their participation in the upcoming Nepal Investment Summit 2017 slated to be held from March 2-3.One of the high-profile participants is Asian Infrastructure Investment Bank (AIIB) President Jin Liqun, who attend the two-day event jointly organised by Investment Board Nepal (IBN) and Industry Ministry as special guest. Other participants include Asfaw Dingamo Kame, Ethiopian Ambassador to Nepal; Chen Wen, managing director of Sinohydro-Sagarmatha Power; Harvindar Manocha, chief operating officer of GMR Energy; Michelle Simmons, general manager of Microsoft for Southeast Asia New Markets; Suyash Chauhan, managing director of Unilever Nepal; and Joseph Sylvanus, CEO of Standard Chartered Bank Nepal. At least 19 people were killed when a coach overturned on a remote road in the Argentinian Andes, near the border with Chile, officials say. A survivor who was not identified said that the coach had been travelling too fast, despite the concerns of passengers.The crash happened near Aconcagua, the highest mountain outside of Asia.The Chilean company that operated the vehicle says it is striving to ascertain the identities of the dead.Mendoza Provincial Governor Alejandro Gulle was quoted by AFP news agency as saying said that two Chilean coach drivers who survived the crash were being questioned in the town of Uspallata, a tourist location near the 6,960m (22,835ft) Mt Aconcagua. A continent two-thirds the size of Australia has been found beneath the south-west Pacific Ocean, scientists reported in the journal of the Geological Society of America.The land mass of 4.5 million square kilometres (1.74 million square miles) is 94 percent underwater and only its highest points - New Zealand and New Caldeonia - poke above the surface. "It's rather frustrating for us geologists with the oceans being there," said Nick Mortimer, a geologist at GNS Science in Dunedin, New Zealand. "If we could pull the plug on the oceans it would be clear to everyone we have mountain chains and a big high-standing continent above the ocean crust." China has not given up hope for a new round of diplomacy with North Korea to prevent Pyongyang making further advances in its weapons programme in violation of U.N. resolutions, Foreign Minister Wang Yi said on Friday.North Korea said this week it had successfully test-fired a new type of medium- to long-range ballistic missile. State-run KCNA news agency said leader Kim Jong Un supervised the test of the weapon capable of carrying a nuclear warhead. "There are still opportunities for the resumption of six-part talks," Wang told the Munich Security Conference, referring to talks with the United States, South Korea, China, Japan and Russia. "We should work to bring the parties back to the table." China has told Japan that "negative" moves by Tokyo on major issues are preventing an improvement in bilateral ties, but there are now opportunities to improve China-Japan relations.Chinese Foreign Minister Wang Yi told his Japanese counterpart Fumio Kishida during a meeting in Germany that both countries should make efforts to bring bilateral ties back onto the right track. "There are now both opportunities and challenges for improving China-Japan relations," China's Foreign Ministry paraphrased Wang as saying in a statement late on Friday. "The continuous, negative moves made recently by Japan regarding major sensitive issues have caused disturbances to the improvement of bilateral ties," Wang added, without offering details. The deadline issued by the Indian government to exchange bank notes in the denominations of 500 and 1,000 is just 13 days away, but no concrete measures have been announced for exchanging these banned Indian notes in Nepal.Nepali migrant workers in India too continue to face a tough time. Nepal’s trade deficit doubled in the first four months of the current fiscal year, as imports surged following a significant jump in consumer demand after the end of the Indian blockade.Nepal’s trade deficit widened to a startling Rs277.13 billion in the period under review, as against Rs140.03 billion in the same period a year ago, shows the latest macroeconomic report of the Nepal Rastra Bank, the central bank. A Japanese company has expressed interest in developing the Tamakoshi III Hydropower Project, which has been in limbo after Norway’s Statkraft pulled itself out of the project in January.During their meeting with officials of Investment Board Nepal (IBN) a few weeks ago, a team from Kansai Electric Power Company, a Japan-based power utility, expressed interest in building the 650MW project.Kansai is one of the largest power developers in Japan with a handful of hydropower projects in Asian countries like Taiwan, Laos, Philippines and Indonesia.IBN, however, asked Kansai officials to wait until the government comes up with a modality to develop the project.Unveiling the budget for this fiscal year in July, the government had announced plans to build the project under Engineering, Procurement, Construction and Financing (EPCF) model. The Department of Archaeology is preparing to begin the reconstruction of 145 heritage sites throughout the country this year. The devastating Gorkha earthquake of 2015 had fully or partially damaged about 800 heritage sites, mainly in Kathmandu, Bhaktapur, Lalitpur, Dolakha, Nuwakot, Sindhupalchowk, Gorkha and Dhading districts.According to the department, both short-term and long-term heritage reconstruction projects are under way. In its annual meeting in June, the World Heritage Committee (WHC) of Unesco sought to put Kathmandu Valley on the UN cultural organisation’s World Heritage in Danger list for Nepal government’s failure to pay required attention to reconstruct and protect the monuments that were destroyed by the April 25 earthquake last year.But after the government’s assurances that it would expedite reconstruction work, Unesco did not add Kathmandu Valley to the list.But even after six months, not much has been done when it comes to rebuilding and protecting the heritage sites, which would mean the UN committee could once again propose Kathmandu Valley for danger listing during its next session to be held in June. Several people have been killed and more wounded by an explosion near a bus in the central Turkish city of Kayseri, security services say. The bus was carrying off-duty soldiers, according to reports, and was opposite a university campus when the explosion occurred.Turkey's Dogan news agency said that the blast was caused by a car bomb. The explosion comes a week after 44 people were killed by a bomb attack in Istanbul claimed by Kurdish militants.TV images showed the bus reduced to a smouldering wreck by the blast. Five female security staff at Kandahar airport have been killed by unknown gunmen, local officials say.They were travelling to work at the airport on Saturday morning when two attackers riding a motorcycle opened fire on their minivan, said Samim Akhalwak. In a major development in the country’s health sector, a 41-year-old man successfully underwent a liver transplant-the first ever such procedure-at a government health facility on Wednesday night.Balram Naga underwent the 10-hour long liver transplantation surgery at the Human Organ Transplant Centre (HOTC) in Bhaktapur. His sister Sanu Maya Lageju, 39, donated the organ. The hospital said both the patients are “doing fine”. “They should be kept in close observation for around four months,” doctors involved in the surgery said. and the minimum price that the Nepal Electricity Authority (NEA) is willing to pay for the power. post-Brexit.He expects similar talks to be going on in Europe's other financial centres. Authorities in Frankfurt, Luxembourg and Amsterdam have said they would welcome banks moving operations from London for when the UK leaves the European Union. The pilot of a flight that crashed in Pakistan made a mayday call just before losing contact, the airline said.He also told flight controllers of an engine problem at 16:09 local time (11:09 GMT) on Wednesday, Pakistan International Airlines (PIA) Chairman Azam Sehgal told reporters.All 48 people on the twin-propeller plane flying to Islamabad were killed.The carrier has insisted strict checks left "no room for any technical error". Though this is when the Arctic is supposed to be refreezing, scientists say sea ice there hit record low levels for November. In the crucial Barents Sea, the amount of floating ice decreased when it would be expected to grow.Arctic sea ice extended for 3.5 million square miles (9.1 million square kilometres). That’s 309,000 square miles (800,000 square　kilometres) below the record set in 2006: a difference larger than state of Texas. The National Snow and Ice Data Center says it was the seventh month this year to set a record low.“There’s crazy stuff going on up there. It’s bad,” said Rutgers University marine scientist Jennifer Francis. The data center calculated that ice in the Barents Sea, just outside Norway, shrank by 19,300 square miles (50,000 square kilometers) during what is supposed to be a cold month, but wasn’t. That area is important because recent research links sea ice there to changes in extreme weather in lower latitudes, though scientists have not come to a consensus on that link yet. As many as 1,000 workers are being mobilized everyday in three districts of Kathmandu Valley to dig trench to lay the pipes for the supply of Melamchi drinking water.The laborers are presently busy at different 40 places across the Valley laying the ground work for a network of drinking water pipes.As per the project plan, the much awaited Melamchi water is arriving in the Kathmandu Valley by the coming Dashain (September). The Kathmandu Upatyaka Khanepani Ltd’s project implementation directorate said the Valley would have eight reservoirs while pipes are being laid in 32 places.Among 670 km pipes, 432 km has already been laid, said Spokesperson at the Directorate, Leela Prasad Dhakal. The reservoirs being built at Bansbari and Khumaltar will have the capacity to retain 9.5 million liters, while that being built at Arubari would retain 8.5 million liters, 8 million liters at Mahankalchaur, 7.5 million liter in Panipokhari, 7 million liter at Balaju, 6 million liter at Kirtipur, and that at Tikani of Bhaktapur 3 million. If what Prime Minister Pushpa Kamal Dahal had promised is anything to go by, a constitution amendment bill should have been in Parliament now, for it was supposed to be tabled before his visit to India.PM Dahal visited India on September 15-19. Then there were talks that the bill would be tabled before Dashain. The Dashain festival began on Saturday with the marking of Ghatasthapana.In two days, Dahal’s government completes two months, but uncertainty continues to loom over the constitution amendment bill. by surface transport.Every year before the Dashain holidays, hundreds of thousands of people working or studying in the Kathmandu Valley return home to be with their families for the celebrations. Two opposition parties, which were coalition partners in the earlier government, have decided to vote in the Parliamentary Hearing Special Committee against the nomination of Deep Kumar Upadhyay as Nepal’s ambassador to India, protesting against reappointment of the envoy recalled by the KP Oli-led government.Members from the CPN-UML and the Rastriya Prajatantra Party-Nepal will vote against Upadhyay in a poll likely to take place within a week. The 14-member hearing committee has five members from the two parties.Upadhyay, who was appointed by the Sushil Koirala-led government in April 2015, was recalled by the Oli government in May on the charge of conspiring against the government. Although sessions with Upadhyay and Leela Mani Paudyal, the ambassadorial nominee for China, were held on Wednesday, their nominations have yet to be endorsed. apanese State Minister for Foreign Affairs Nobuo Kishi on Wednesday informed Prime Minister Pushpa Kamal Dahal about steps that have been taken to finance the Nagdhunga-Naubise Tunnel Road Project, according to PM Dahal's personal website.Kishi said that works have started to issue Rs18 billion loan following PM Dahal's request for Japanese aid to build the 2.5-km tunnel on a key highway serving Kathmandu.The tunnel road planned to be dug under the western rim of Kathmandu Valley will eliminate the need to travel over the tortuous mountain route which is now the main access to the Country. The government is planning to send Deep Kumar Upadhyay again to New Delhi as the ambassador. Upadhyay, who was serving as Nepal's ambassador to India since April 2015, was suddenly recalled by the erstwhile KP Sharma Oli-led government in May.As per discussions among key political leaders, former chief secretary Leela Mani Paudyal is most likely to be named the new ambassador for China.A Cabinet decision on the appointment of ambassadors to India and China, two key diplomatic postings for Nepal, is expected on Thursday, according to a highly placed government source. Paudyal had earlier worked as the consul general in Lhasa. The government's plan to amend the constitution may suffer a setback with the CPN-UML warning against any such move "without justifying the significance".The second largest party in Parliament has taken strong exception to the government plan to register a constitution amendment proposal. It has also warned of taking to the streets "if the government pushes changes without justifying the significance".UML leader Agni Kharel said that the ruling parties should clearly state the changes they plan to make in the constitution. The government's first priority should be the implementation of the constitution, he said. "The UML would support the amendment on the basis of need," added Kharel, implying that changes should be made only when there are challenges during the constitution implementation process. The Upper Marshyangdi-A hydropower project is all set to start electricity generation by September, project officials have said.The 50MW project is currently conducting tests of turbine and other mechanical and electronic systemsA joint-venture of China's Sino Hydro and Sagarmatha Power Company, the project had earlier announced to go online by August. "However, due to some technical issues, it has been delayed by a month," said Karna Adhikari, publi relations officer of the company. The project was started in 2012. A month ago, the project had successfully conducted test of the dam site in Nadi, Bhulbhule-5. Adhikari said the project started to conduct test run of the turbine on Tuesday. Prime Minister Pushpa Kamal Dahal on Saturday informed President Bidhya Devi Bhandari of his plan to expand the Cabinet on Sunday.Dahal, who was elected prime minister on August 3, has been leading a nine-member Cabinet. "The prime minister informed the President that he would expand his Cabinet on Sunday," said PM Dahal's Personal Secretary Ramesh Malla.Dahal, who was entrusted by the party with the task of selecting ministers on Tuesday, is said to have already finalised the list. According to Malla, the Maoist Centre will send ministers for all the five ministers that the party is supposed to get as per an understanding with the Nepali Congress. A senior CPN (Maoist Centre) leader and former deputy prime minister and foreign minister has said that the incumbent government and his party stand by Nepal's existing policy on Bhutanese refugees that only accepts repatriation and resettlement as viable options.Narayan Kaji Shrestha's statement contradicts the position of former prime minister KP Sharma Oli, who had adopted a three-pronged approach, including softening of stance on local assimilation, once other options. Deputy Prime Minister (DPM) and Minister for Finance Krishna Bahadur Mahara is leaving for China on Monday.According to Mahara's Press Adviser Tribhuwan Poudel, Mahara will be accompanied by a secretary and officials from the Ministry of Foreign Affairs. "Information about the visit will be disseminated at a press meet scheduled for Sunday 3pm at the Finance Ministry," said Poudel.The government on Thursday decided to send DPMs Bimalendra Nidhi and Mahara to India and China as its special representatives to strengthen ties with the two neighboring country. At least two children have died of scrub typhus in the eastern region in the last 30 days and five, of the total 11 cases reported, are undergoing treatment for the disease at the BP Koirala Institute of Health Sciences in Dharan.Scrub typhus is an acute, febrile, infectious illness that is caused by Orientia tsutsugamushi, and if untreated, it could lead to death.Doctors at the BP Koirala Institute of Health Sciences in Dharan said two children suffering from the disease died while undergoing treatment at the hospital. "Eleven children admitted at the hospital in the last 30 days were diagnosed with scrub typhus," said Dr Dinesh Dharel of the pediatrics department at the hospital. "Condition of two children was critical when they were admitted, and they died of the disease," said Dr Dharel. The CPN-Maoist witnessed an internal coup on Saturday, as General Secretary Ram Bahadur Thapa ousted Chairman Mohan Baidya to take over the party reins, paving the way for party’s merger with the UCPN (Maoist).Thapa’s move came a day after Baidya called off party’s scheduled Central Committee (CC) meeting. Thapa is said to have the support of more than two thirds of CC members. Twenty trekkers, including two German nationals, who were stranded in the base camp of Mount Saribung (6,346m) of Mustang district, have been rescued safely after 24 hours.The area where they were stranded is at an altitude of 5,925 metres in the Lamjung-Manang region.The trekkers were stranded at the camp since Friday afternoon after a snowstorm blew away their tents and other belongings.A group of trained Sherpas and two choppers were deployed to rescue the trapped trekkers, said Manang Chief District Officer Bhim Kanta Sharma “Adverse weather condition had affected rescue operation on Friday,” said Sharma. The hike in fines for traffic rules violations became effective from Saturday.The government had amended the Motor Vehicles and Transport Management Act of 1993 seven months ago to increase the penalty. The range of fine has been increased from earlier Rs25 to Rs200 to between Rs500 and Rs1,500 at present. Although the government had announced that the new regulations will come into effect on May 1, Metropolitan Traffic Police Division has started enforcing it from Saturday. There are only three types of fines now-Rs500 for simple traffic offences like not wearing helmets while riding a motorbike, Rs1,000 for moderate offences like driving motor vehicles without carrying a licence and Rs1,500 for serious offences like driving vehicle from the wrong side of the road. Tourism industry in Bandipur-one of the major tourist hotspots in the country-is gaining traction after a sharp decline in visitors’ numbers in 2015. The number of visitors dropped two-thirds in the face of the devastating earthquakes and fuel shortage triggered by trade embargo last year. Bandipur used to see more than 120,000 visitors during peak season. “But the number dropped to 30,000 last year,” said Bayas Gurung, chairman of the Tourism Development Committee. The federal coalition of Madhesi parties took out a rally in Kathmandu on Saturday as part of their Capital-centric protests programme. The protest rally converged at Shanti Batika in Ratna Park and passed through Sahid Gate, Sundhara, New Road, Ason and concluded at Bhotahiti. The coalition has put forth 26-point demand with the government. Twenty-nine Madhesi and Janjati parties are associated with the coalition. Missing Tara Air Viking 9N-AHH Twin Otter carrying 20 passengers and three crew members en route to Jomsom from Pokhara could have crashed in Myagdi's Rupse, according to authorities. The plane took off from Pokhara at 7:47 this morning. The passengers included one Chinese and one Kuwaiti nationals, according to Harihar Yogi, Mustang's DSP of Police. Five missing after landslide in Mt Annapurna South. At least five persons have gone out of contact after a dry landslide struck the base of Mt Annapurna South at Narchyang VDC - 1 on Monday night. Tak Bahadur Thajali, Sher Bahadur Thajali, Dil Bahadur Thajali, of Lek Gaun in Narchyang - 5 and Hukum Pun of ward no 6 of the same locality and Tar Bahadur Phagami of ward no 4 have gone missing. The landslide continuing since midnight has released a huge cloud of dust in its wake impacting the general life in Narchyang, Dana, Bhurung, Tatopani, Shik, Ghar and Dowa VDCs. The haze has made travelling difficult in the area. The US Embassy in Kathmandu, in partnership with the Youth Thinkers' Society, is set to host Nepal's largest-ever regional Model United Nations Conference in the Capital this August.The embassy, in a statement on Tuesday, announced the plan, which expects to bring 200 delegates from across South and Central Asia together to discuss a wide range of issues, including regional economic integration, climate change and nuclear non-proliferation. Preparations are 'in full swing' to resume protests from mid-March, SLMM leaders warn, saying that they are planning to taking all disgruntled groups including Tharu, Muslim and Janajati communitieFeb 24, 2016- The Samyukta Loktantrik Madhesi Morcha (SLMM), an alliance of seven Madhes-based parties, has begun internal preparations to launch another round of protests. However, it has said it will keep doors for negotiations open. According to Morcha leaders, preparations are "in full swing" to resume protests from mid-March and they are planning to taking all disgruntled groups including Tharu, Muslim and Janajati communities. The government has initiated the process to take ownership of the Manmohan Institute of Health Sciences (MIHS) in order to run it as a public entity after severe criticism of its move allegedly in favour of CPN-UML leaders and Members of Parliament who have stakes in the institute. The government last week formed a committee to look into the possibility of the government operating the MIHS as a public hospital. Rajendra Pandey, a UML MP, chairs the private entity. The Nepal Oil Corporation on Wednesday said fuel supply constraints would ease in the Kathmandu Valley from next week.With 19,000kl of petroleum products already in stock, the NOC has received 3,200kl fuel in the last three days after the Birgunj-Raxaul border-the country's major trading route-reopened on Friday.The border obstructions had caused severe fuel crisis in the country. The last rites of former prime minister and Nepali Congress President Sushil Koirala were performed according to Hindu rituals at the Pashupati Aryaghat in Kathmandu on Wednesday. The democracy champion, who played a crucial role in the promulgation of the constitution, was accorded full state honours, as thousands of people attended the veteran leader's funeral on the bank of the Bagmati river. British Minister of State at the Foreign and Commonwealth Office and Member of Parliament for East Devon Hugo Swire has expressed his condolences on the demise of former Prime Minister and Nepali Congress President Sushil Koirala. Although the construction of the 400kV Dhalkebar-Muzaffarpur cross-border transmission line is set to complete by Thursday, plans to import 80MW electricity from India from February 16 have turned uncertain after issues related to pricing surfaced. A coordination committee formed more than a year ago to guide different government offices in the Capital towards integrated development approaches is lying dysfunctional. In January last year, the then Chief District Officer, Ek Narayan Aryal, established the Development Coordination Committee to solve the problems in development planning and distribution in Kathmandu Metropolitan City. Nepal's image as one the most corrupt countries in the world has taken a further beating, Transparency International (TI) said in its annual report published on Wednesday. In the latest "Corruption Perception Index (CPI) 2015 of the global corruption watchdog, Nepal has been ranked 130th out of 168 surveyed countries, with a score of 27. Nepal was ranked 126th last year with a score of 29.The TI score runs from zero, which is highly corrupt, to 100, which is very clean. Second-rung leaders of Madhes-based parties have started discussions to help their leadership formulate strategy for their upcoming protests. Top leaders of the Samyukta Loktantrik Madhesi Morcha (SLMM), which on Monday announced fresh but "soft protests", are scheduled to meet later this week to take a decision on Morcha's future course of action. Most of the Madhes-based parties have directed their leaders to reach out to their constituencies to seek feedback on their further move. Secretary-General Ban Ki-moon has welcomed Nepal parliament's vote to amend the constitution and hoped that the positive development would help ease the border blockade. Responding to a question, Ban's spokesperson Stephane Dujarric said Tuesday that Ban "welcomes parliamentary action to amend the Constitution as an important step in resolving differences on constitutional arrangements. ""He hopes that current positive developments could help normalise passage of supplies at Nepal's border points and refocus attention to address urgent reconstruction and other needs," Dujarric added. President Bidya Devi Bhandari on Wednesday authenticated four bills. President Bhandari on Tuesday authenticated the 'Bill on Pokhara Institute of Health Sciences -2072' as per Article 113 (2) of the constitution, informed the office of the President today. Likewise, other bills authenticated by the President are the 'Bill on vaccination-2072 BS', 'Bill designed to amend some Nepal Acts relating to the remuneration of the Chairperson and members of National Human Rights Commission, 2071 BS' and Bill related to 'Reconciliation (first amendment)-2071'. The Morcha, after the constitution was amended on Saturday,is under add pressure whether to continue its protest,specially border centric ones.New protest have not mention border centric ones. Some donor countries like Norway, Denmark has asked Nepal gov.to return tax payers money, if they are not used for earthquake victims. In teaching hospital Dr. Govinda Kc has postponed his fast to death on Monday by another week at the request of civil society. Under its fleet expansion plan,NAC will buy 2 wide-body and 2 narrow body aircraft over the next tow years. The schedule to Jon it's fleet next Dec.
September 20 will go down in the history books as a day that firmly established Nepal as an inclusive federal democratic republic with secular characteristic as President Ram Baran Yadav put his signature on the Constitution of Nepal 2015, marking the commencement of the new statute amid a grand ceremony at the Constituent Assembly (CA) that had overwhelmingly endorsed it earlier on Wednesday. The international community has given a cautious welcome to Nepal’s new constitution that was promulgated on Sunday. Minutes after President Ram Baran Yadav declared the commencement of the new constitution, India's Ministry of External Affairs extended its best wishes to the people of Nepal, but kept well short of welcoming it wholeheartedly. "We note the promulgation in Nepal today of a constitution," the ministry said in a statement on Sunday. Danish Crown Prince Frederik Andre Henrik returned to Kathmandu after visiting earthquake-hit villages in Lamjung. He is scheduled to return to Denmark on Monday.During a four-day Nepal visit, the Prince’s team visited the quake ravaged areas of the district. District Officer Shrawan Kumar Timilsina said they requested Prince Henrik to visit Nepal again and help disseminate positive message about tourism in the country. "We requested him to continue financial assistance and rapport," Timilsina said, adding that such visit will strengthen relations between the two countries. The External Affairs Ministry of India on Sunday issued a statement on the situation in Nepal following the promulgation of Constitution of Nepal 2072. Extending the India’s best wishes to the people of Nepal, the statement said throughout the process of Constitution making in Nepal, India has supported a federal, democratic, republican and inclusive Constitution. "We note the promulgation in Nepal today of a Constitution," read the statement.As per the statement, Indian Ambassador to Nepal Ranit Rae drew the attention of Prime Minister Sushil Koirala regarding the violence that is ongoing in several parts of the country bordering with India. After years of disagreements between the main political parties, the country is inching closer to having a new constitution as the Constituent Assembly (CA) endorsed first three articles of the new charter on Sunday evening. Out of 598 CA members, 540 participated in the CA process while 58 from the Madhes-based parties boycotted it. As the major parties push through a constitution bill, the agitating Madhesi parties have warned that promulgation of new constitution without addressing the aspirations of Madhesi people “will be constested from the outset and invite another conflict in the country”. The Constituent Assembly (CA) entered the final phase of the charter process on Sunday with a clause-wise voting on the draft constitution despite the absence of the Madhes-based parties which rejected the major parties’ offer to join the CA process. Right up to the point when major parties decided to push ahead with the constitution drafting, Prime Minister Sushil Koirala and top leaders continued informal talks with the Tharu and Madhesi lawmakers on Sunday. But the talks failed to make headwayIn his meeting with Tharu lawmakers from the UCPN (Maoist), Koirala assured thatTharu leaders arrested after the Tikapur incident will be released within two days. Traders have launched an agitation demanding the government take measures to bring the Rasuwagadhi customs point back into operation. Trade activities via the customs point has come to a standstill for the last four and half months since the April 25 earthquake. Although the Rasuwgadhi-Kathmandu road opened two months after the earthquake, the Chinese side has sealed the Keyrung point. Protests against the proposed federal demarcation continued in various Tarai districts on Sunday as well. Four protesters sustained bullet injuries as police opened fire at a demonstration taken out by Samyukta Loktantrik Madhesi Morcha in Rautahat. The Morcha supporters also vandalised some police posts in Dhanusha and reportedly fired at the security personnel who were escorting vehicles along the Siraha stretch of the East-West Highway. This press statement is released by Ministry of Culture, Tourism and Civil Aviation to provide information on the rescue and relief management activities conducted in coordination with Emergency Control Center of Tribhuvan International Airport. 1. 38 different nations along with World Food Program (WFP), Red Cross Canada and Red Cross Finland had sent different support and relief material through 236 flights which are being distributed to the victims in the affected areas. 2. Today, 33 helicopters (Nepal Army 10, Private 2, Indian Army 13 and American Army 5 ) are regularly involved in rescue and search operation. Among these helicopters, 23 flew from Kathmandu and 7 from Pokhara to rescue and distribute support materials to different villages of Dhading, Gorkha, Sindhupalchok, Rasuwa, Dolakha, sindhuli and Ramachap Districts. During this rescue process 35 Nepalese injured people and 26 foreign injured people were rescued and total 255,300 kilograms of support materials were distributed. 3. Among 7 helicopters working operating at rescue activity by private sectors only 2 helicopters are operating from today. Private helicopters involved in rescue activity rescued total 5,522 victims and distributed 75,670 kilograms of support material to the victims till 4th May 2015. 4. Today Nepal army Helicopter distributed different support materials to the victims of earthquake at Kavre, Sindhupalchok, Dolakha and Dhading districts with the help of aerial drop. 5. Because of the parking capacity of Tribhuvan International Airport, it was opened 24 hours for the smooth management of rescue flight and commercial flight and from today considering the flow of flight Tribhuvan International Airport will operate regularly on 3 shifts (18 Hours). 6. Civil Aviation Authority of Nepal has announced that prior permission is required to fly Drone in Nepalese sky. 7. Today Rt. Hon'ble Prime Minister Mr. Sushil Koirala went Barprak and Laprak area of Gorkha district for the inspection of the damage made by the earthquake and distribution of support materials to the victims. 8. Mr. Deepak Chandra Amatya, Hon'ble Minister for Ministry of Culture Tourism and Civil Aviation assisted Prime Minister on this inspection. 9. The distribution of support materials will continue in effective way in coming days. Behind the veil of “cosmetic unity”, factional feud is festering in the ruling CPN-UML as the party leadership has failed for months to allocate responsibilities to central leaders.Two factions led by Chairman KP Sharma Oli and senior leader Madhav Kumar Nepal have been trying for nine months to install their loyals in key positions such as the heads of organisations, and publicity and publication departments. Oli had narrowly edged out Nepal at the party’s ninth general convention in July last year. UCPN (Maoist) Chairman Pushpa Kamal Dahal has said that the opposition alliance could sit for talks with the ruling parties if the latter show the commitment to consensus process.Addressing the party’s mass meeting in Sarlahi on Saturday, Dahal said the consensus efforts were being thwarted by those leaders from the ruling Nepali Congress and CPN-UML who had stood against the Comprehensive Peace Agreement (CPA). onstituent Assembly (CA) Chairman Subas Nembang on Saturday asked the leaders of major political parties to expedite negotiations on the disputed issues of constitution writing to keep the March 25 deadline. The much-awaited 5,600MW Pancheswar Multipurpose Project is likely to take off, with the Pancheswar Development Authority (PDA) all set to get staff ers.While the Indian Ministry of Water Resources has already appointed two officials, the Nepali side is preparing to appoint officials at the possible earliest. Government officials said the authority would be functional within a month after the staff ing is completed. Islamic State has posted online what it says are the names, U.S. addresses and photos of 100 American military service members, and called upon its "brothers residing in America" to kill them.The Pentagon said after the information was posted on the Internet that it was investigating the matter. "I can't confirm the validity of the information, but we are looking into it," a U.S. defense official, speaking on condition of anonymity, said on Saturday. of the town. At least one was decapitated. Simara sees no respite from violent protests against the government's move to roll back its decision to set up units of land revenue and survey offices there.More than 100 people, including 20 security personnel, were injured in sporadic clashes on Monday. The protesters pelted police with bottles, bricks, shards of glass and stones. Police lobbed dozens of tear gas canisters, some of them expired, to disperse the mob. In the wake of the acid attack on three schoolgirls, activists and lawyers on Monday demanded stringent punitive measures and emphasis on restorative justice.According to the Muluki Ain, currently in force, a person who uses acid on others is liable, based on the degree of disfigurement of the victim, to two months to three years in jail and Rs 500-5,000 in fines. Central Working Committee members close to Nepali Congress leader Sher Bahadur Deuba continued their "systematic attack" on party President and Prime Minister Sushil Koirala on the second day of the CWC meeting on Monday.The meeting on Sunday had come heavily on Koirala, criticising him for the failure to promulgate the constitution by the January 22 deadline and to hold the local elections. Other charges included the government's lackluster performance and the dilapidated state of party organizations. Two more people have tested positive for the H1N1 virus, popularly known as 'swine flu', taking the total number of infected to eight.Tests conducted on four samples at the Capital's National Public Health Laboratory on Monday confirmed that two people were suffering from the influenza. The subcommittee of the Questionnaire Committee has prepared objective questions for voting in the Constituent Assembly on the preamble of the new constitution, fundamental rights, the legislature and issues related to statute amendment. Members of the taskforce said it will take a couple of days for them to come up with questions on the other key disputed issues such as federalism, forms of government, judiciary and electoral system. Amid the lack of dialogue among the parties, some political leaders have floated the idea to revive the Political Committee for resuming the stalled talks between the ruling and opposition parties. There has been no formal negotiation between the parties involved in the CA process and those opposing it after the Constituent Assembly formed the Questionnaire Committee to prepare for voting on disputed issues. CPN-Maoist Chairman Mohan Baidya has put forth a verbal proposal on launching the "people's action campaign" against the growing anomalies in society during the ongoing CPN-Maoist Central Committee meeting on Tuesday.The party CC meet will start deliberations on the proposal from Wednesday. The Asian Development Bank (ADB) has planned to provide $1 billion in concessional loans and another $13 million in technical assistance grants to Nepal over the next three years, ADB President Takehiko Nakao said Tuesday. Country's national flag carrier, Nepal Airlines Corporation, on Sunday welcomed to its international fleet a new member-Airbus A320-200 aircraft-amid a huge fanfare at the Tribhuvan International Airport (TIA). international flight after 27 years. In a major shift from the ruling parties' position on constitution writing, Prime Minister Sushil Koirala on Sunday invited the agitating parties for talks without further delay and to seek consensus on the disputed issues of the constitution writing process.. The Supreme Court has acquitted former Inspector General of Police Achyut Krishna Kharel of corruption charges. Division bench of Chief Justice Ram Kumar Shah and Justice Deepak Raj Joshi issued the verdict on Sunday. The government missed collection targets under four major revenue headings-value added tax (VAT), income tax , customs duty and excise duty-in the first half of the fiscal year, but it was able to achieve the overall target.VAT collection hit 97.87 percent of target, income tax collection stood at 96.27 percent, customs duty collection 99.8 percent, and excise duty 95.94 percent, according to the Finance Ministry. Janajati lawmakers from the Nepali Congress and the CPN-UML have refused to be part of the Janajati caucus that some indigenous Constituent. Assembly members are effortful to form, arguing that the forum complicates the constitution-writing process further. In a startling revelation, more than 10,000 students, around two percent of the candidates who took the School Leaving Certificate exams this year, failed in all the eight subjects. Disputes over the terms of reference and leadership of the proposed High-level Political Committee (HLPC) have affected cross-party talks on contentious issues of the constitution-writing process. Chief Secretary Leelamani Paudyal on Sunday sought strong political commitment to enable the bureaucracy to be tougher on controlling rising irregularities. With thousands of undocumented Nepali workers stuck in Iraq, Syria and Libya, the government has been issuing permits for migrants to work in war-ravaged countries without assessing the security situation and risks there. Prime Minister Sushil Koirala is leaving for New York on Friday, leading a 15-member Nepalese delegation to the 69th United Nations General Assembly (UNGA). The prime minister is scheduled address the 69th session of the UNGA on September 26. Prakash Wasti and Govinda Sharma Paudel as members of the human rights watchdog, Thursday morning. The Constituent Assembly (CA) has given its Constitutional Political Dialogue and Consensus Committee (CPDCC) two more weeks to settle the remaining disputes in constitution-writing and submit its report to the full House by October 7. Indian Home Minister Rajnath Singh arrived in Kathmandu on Thursday to attend the sixth meeting of the Saarc Ministers of Interior/Home that will begin on Friday. A Cabinet meeting on Thursday endorsed the power trade agreement (PTA) that Nepal and India recently initialed, and the amended project development agree or the 900 megawatt Upper Karnali Hydropower Project. 1) Major parties have come up with flexible positions on forms of governance and federalism in the ongoing backdoor negotiations raising hope of possible compromise, cross-party leaders said on Wednesday. 2) After putting off the plan to purchase the high-end bulletproof cars from world’s premium car makers BMW and Mercedes-Benz, the government has decided to hire seven bulletproof cars from a private car rental firm in India for the Summit. 3) Nepal’s automobile sector has been on a roller coaster for the last six years. In fiscal 2008-09, vehicle registrations crossed the six-figure mark for the first time. 3) The Road Department Office and various entrepreneur associations in the district have intensified the track construction in order to resume traffic at the earliest on the Araniko Highway. 5) The Nepal Federation of Indigenous Nationalities (Nefin) is likely to compromise on popular Janajati agendas like single identity-based federalism and priority rights because of contradicting positions taken by its leadership. 6) Going by a government projection, the country will be “total literate”by the end of the current fiscal year, having enrolled some 1.74 million adult illiterates in over 20,000 classes. 4) The Constitutional Political Dialogue and Consensus Committee (CPDCC) of the Constituent Assembly (CA) on Wednesday money laundering case involving a Chinese citizen dating back to 2008. 5) NRB had seized the amount sent by Chase Manhattan Bank of the US to Chinese national Wu Lixiang´s account at the Bhaisepati branch of the Nepal Bangladesh Bank Ltd on July 27, 2008. The central bank had frozen Lixiang´s account suspecting linkage of the money with the multi-million dollar Sudan scam and referred the case to the Department of Revenue Investigation (DRI) for further investigation. Cosmo Trek sells dry packaged rice producted by Onishi Foods Japan. Instant cooking by hot water. We can measure arterial oxygen saturation and heart rate by Pulse oximeter. It helps us from altitude sickness. 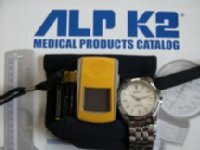 You can rent this Pulse oximeter from CosmoTrek.Please contuct us. Our labatory introduce useful plants of Nepal. Irish Pub Restaurant was open in Lazimpat street. This restaurant is managed by German. This restaurant provides delicious meal dishes, German beer, and British beer. copyright©2014 Cosmo Trek Pvt. Ltd. all rights reserved.